Color Invaders will get you to an alternate universe where nothing is what it seems, you will need to use all your audacity to correctly combine your ship and filter attacks to get rid off all your enemies. 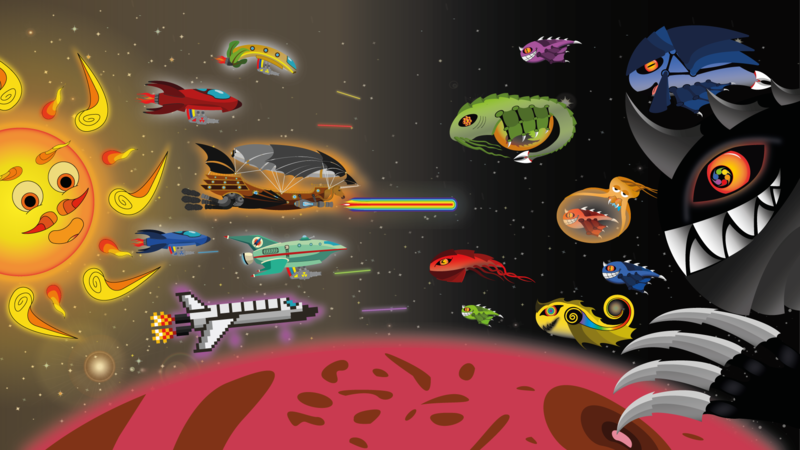 Get trough all the different levels to free the stellar systems from this plage. But be carefull, as stupid as they seem, the Color Invaders will use all kinds of tricks and strategies to overstep your barriers and finish you.